There are times when it is necessary to communicate news that is difficult. It is with great sorrow thatwe announce the sudden passing of Dr. John Philip Wilmeth on January 11, 2019. Having served patients in the Anderson area since 1986, Dr. Wilmeth was a well-known and respected physician, helping to restore sight and providing care to thousands of patients over the last 33 years. Dr. Wilmeth enjoyed talking to patients about his hobbies, and he was always happy to answer questions about his various travels and photographs. He was a kind and quiet soul, and he will be greatly missed by his family and friends. Dr. Mark Wolken, Dr. Reid Murphy, Dr. Shelly Lomax, and the staff at Medicus Eye Group will continue to serve Dr. Wilmeth’s patients in their eye care needs. In mid-February, Dr. Edward Mattison will begin seeing patients in Dr. Wilmeth’s office three days a week. Dr. Mattison was born in Anderson, SC, and lived all around the United States with his military father and family. He attended high school in Florence, SC, and is a graduate of the University of South Carolina and MUSC. After an internship at Grady Memorial Hospital in Atlanta, Dr. Mattison served in the US Navy for 3 years as a general practice physician and general medical officer. He then returned to Grady Hospital and Emory University for his ophthalmology residency. In 1971, Dr. Mattison began private practice with Anderson Eye and Ear Associates (now Medicus Eye Group) as a board-certified ophthalmologist. He then entered solo practice in 1983 at Anderson Ophthalmology, where he worked until his retirement in 2016. Dr. Mattison and his wife, Lana, have two sons and seven grandchildren. He is a member of GAMAC Chorale and has participated in the Choir of Hope and Remembrance for many years. We are proud to welcome Dr. Mattison to our Medicus team! In August, Dr. Levi Kauffman will be joining our practice from Wake Forest. We are excited to add a third full-time ophthalmologist to our group, and we will be sharing more information about Dr. Kauffman closer to his arrival. 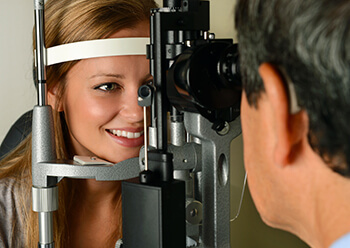 The Ophthalmologists at Medicus Eye Group: Dr. Mark Wolken and Dr. Reid Murphy are all Board Certified and practice comprehensive ophthalmology. 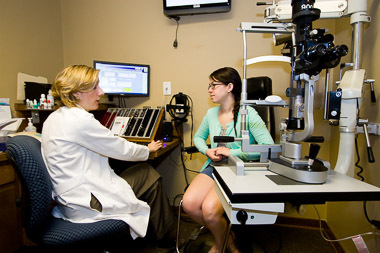 Our board-certified optometrist Dr. Shelly E. Lomax, works closely with the rest of our team, providing patients in the Anderson, SC area with comprehensive eye health exams, glasses, and specialized contact lens fittings. 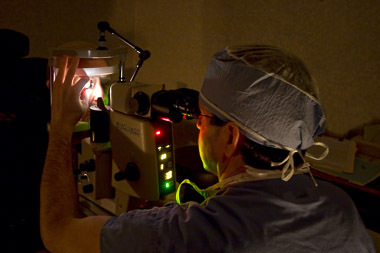 The doctors have more than 75 years combined experience and trained at leading ophthalmology residency programs. 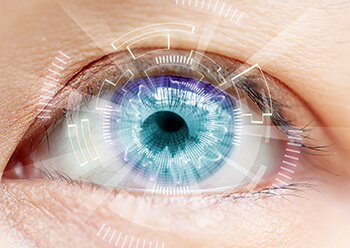 As a practice, we strive to be leaders in the field of Ophthalmology and continue to evaluate all new technology to provide the best possible eye care for our patients. 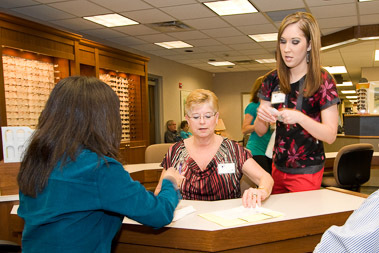 The Medicus Eye Group, located in Anderson, SC offers an extensive array of services ranging from basic eye exams for glasses, contact lenses, and laser vision correction, to laser and surgical treatment of diseases including cataracts, glaucoma, macular degeneration, diabetes, and facial plastic surgery. All surgery is performed at the AnMedHealth Medicus Surgery Center adjacent to our office on an outpatient basis. 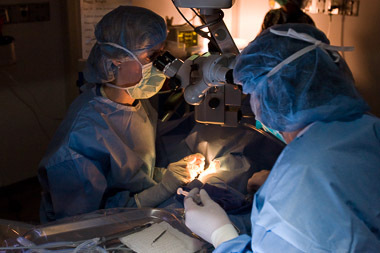 As a group, we annually perform more than 1,800 cataract surgeries at this facility.